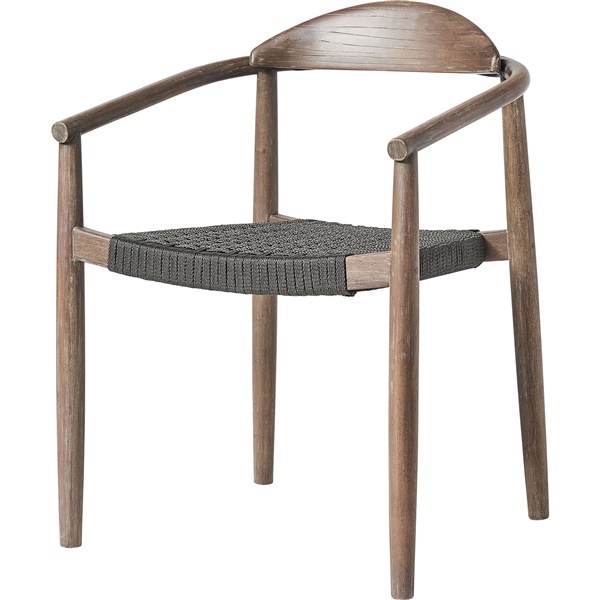 Add instant mid-century modern design to your outdoor space with the Classica Dining Chair by Modloft. Beautifully crafted of solid eucalyptus and woven regatta cord, it is weather resistant for long lasting outdoor use. It is the perfect combination of style and function with its mid-century design and comfortable and supportive construction.